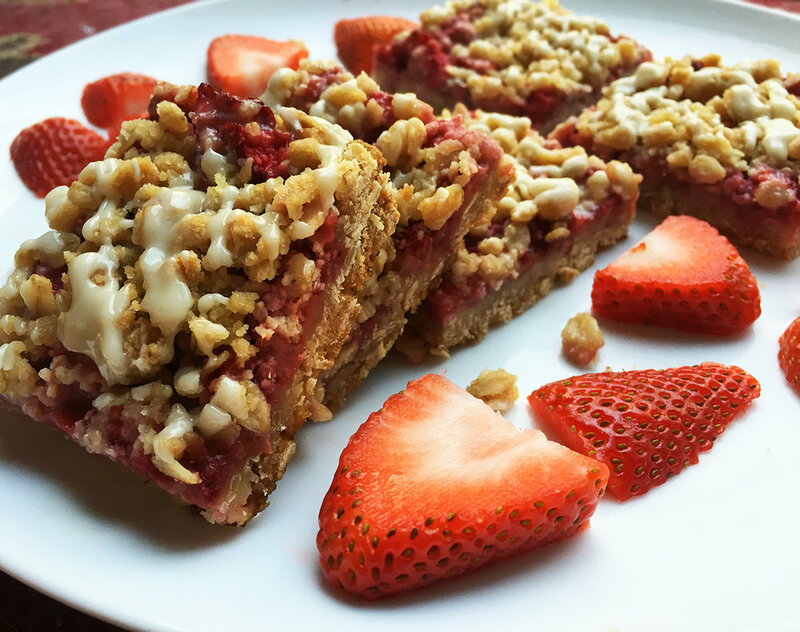 I found these strawberry oatmeal bars while looking for healthy breakfast options. Well Plated had this recipe listed at 100 calories per bar AND it had frosting...I was sold right there! Added bonus- the ingredients aren't too complex, the process is easy and you can have these for breakfast or as a snack! Optional: The strawberries from the store weren't very flavorful so I diced them and then left them to sit for a few hours with some extra sugar. 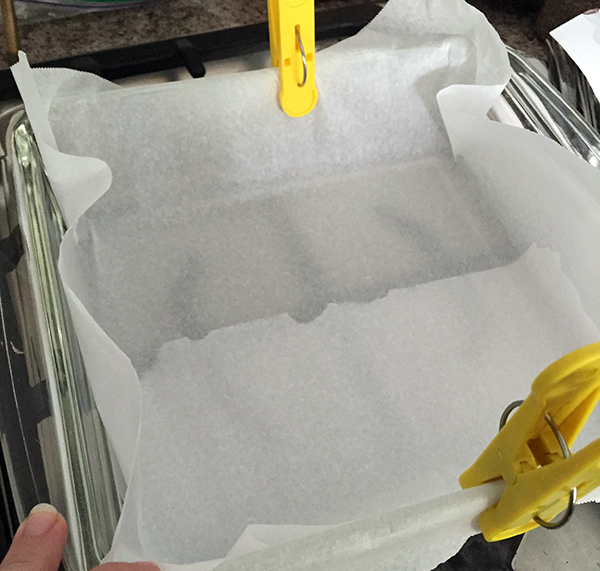 Get an 8x8 pan and cover it with parchment paper. I like to pin the paper down or else it's just unmanageable for me. In a medium sized bowl mix together the oats, flour, brown sugar, ginger and salt. Once combined, add in the melter butter and stir until the dry ingredients are all thoroughly mixed. Set aside half a cup of the mixture for later use! Spread and press the rest of the mixture into the pan. Next we'll combine the corn starch, lemon juice and granulated sugar with the diced strawberries. Add those evenly across the pan. Take the remaining oatmeal mixture and sprinkle it over the top. Now we're ready to put it in the oven! Bake the bars for 35-40 minutes. Get ready for your kitchen to smell great once this is done. :) While the strawberry oatmeal pan cools, let's make the frosting. Whisk together the powdered sugar, vanilla and milk until it reaches a smooth consistency. It's going to seem really thick but it'll look great on the bars once you put it on. If you want to thin it down you can slowly stir in more milk. From the looks of Well Plated's recipe if you cut these into 16 bars then you're all set at 100 calories per bar. Delicious and guilt-free!